Need a jump start for your holiday baking? 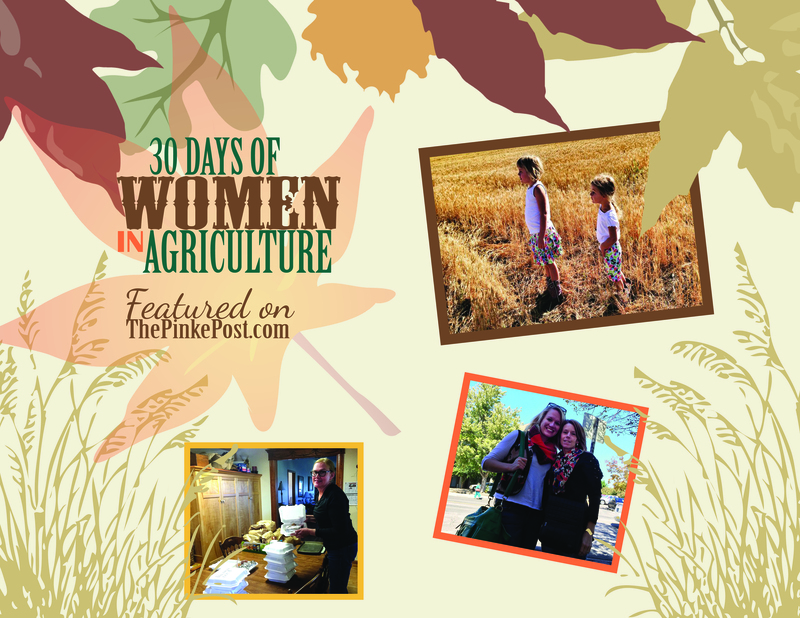 In honor of the 30 Days of Women in Agriculture series this month, I am sharing some of my favorite things and provide you with some treats and gifts to kick-off the holiday season. Some of my favorite holiday treats are made by my favorite women in agriculture, my mom and my grandma! I often tend to run out of time for much baking to get it done. That’s where my baking queen friend Sonja helps. Together we are giving away three of Sonja’s Simply Sweet holiday gift boxes, filled with three different baked goods or candies! They are valued at $35 and free to three winners, shipped to your door. There are numerous easy ways to enter below through 2:00pm CST on Saturday, November 29th. I will share winners on my Facebook page on Saturday night. Sonja will ship directly to you from her Mohall, North Dakota bakery. You can also order online here. Sonja bakes family recipes handed down from her Scandinavian grandmother as well as other time honored recipes. “We make all of our cookies, candies and desserts in small batches in our commercial kitchen in rural North Dakota, using only the best ingredients,” Sonja shares. Ready to win? Enter through the Rafflecopter giveaway! Comment below and answer: What’s your favorite holiday treat? My favorite holiday treat is gingerbread cookies! I remember visiting Sonja’s booth at a Pride of Dakota exhibition in Fargo. I would be so thrilled with a box of her treats and would share them with my Iowan friends. My favorite holiday treat is fudge. My favorite treat is the cookies we call Peanut Blossoms. Peanut butter chocolate star cookies are my favorite. I don’t know if I can name one favorite…when I was a kid it was Cherry Winks and Chocolate Crinkle Cookies…But I also love homemade Chex Mix to munch on and caramels for my sweet tooth! My mom had the best sugar cookie recipe that you used colored sugar for….Probably that…I still use her recipe to this day. Yum. My favorite are homemade turtles. I love everything too! Especially the sweets!! But, my mom and I are making traditional chex mix on Saturday, so very much looking forward to that! Pumpkin pie with real whip cream – YUM! I made a homemade, from scratch version this year, thanks to the pie pumpkin from my CSA! Pumpkin Pie. I never make it myself, so it is always a treat. It’s hard to choose a favorite! Chocolate balls or krumkake.